Photo: Monroe County Tennessee Courthouse, Brian Stansberry, photographer, December, 2007, en.wikipedia.org, accessed May, 2012. The Monroe County Courthouse is located at 105 College Street, Madisonville, TN 37354; phone: 423-442-2220. Monroe County was created in 1819. 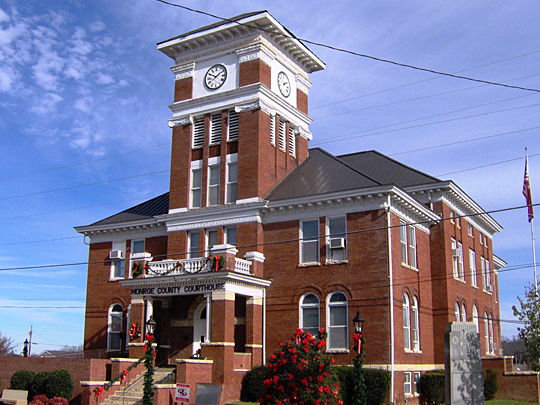 The county seat was originally called Tellico but was changed in 1830 to Madisonville in honor of politician James Madison Greenway.